On this week’s edition of the program, the Sentinels here at MID have recently been provided with information by Twitter regarding Russian influence in US election campaigns. 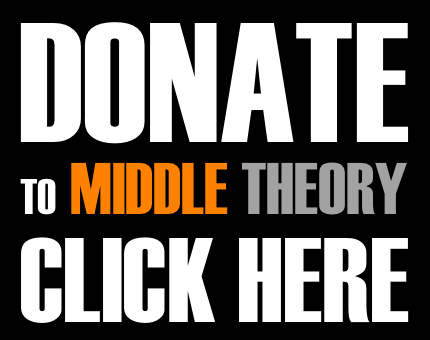 While their vigilance is to be appreciated, we noticed that the email did not say which account Middle Theory had been following, or interacted with otherwise, that was ID’d as Russian propaganda, making things a bit nebulous, though no-less interesting. Elsewhere, a preliminary report on the terrible Las Vegas shooting of October 1, 2017 has been released; we look at what we’ve learned since its release, and the bombshell admission that the FBI believes “another person of interest” may indeed be at large, with further details pending. Elsewhere, Larry Nassar has been sentenced to up to 175 years in prison for his 20-year reign as chief child molester for Michigan State University, and the U.S. Olympic Gymnastics team. In the wake of the scandal, the MSU President resigned, and blamed people for scapegoating her in her resignation letter; also, Michigan State may now be facing an NCAA inquiry. In an unrelated development, reports now indicate that Julian Assange’s health may be in “danger,” mentally and physically, according to his doctors. And in tragic news out of Kentucky, a High School shooting that occurred this week left two dead, and at least 18 injured; we’re interested (and concerned) to see how soon before people say it’s a “false flag” or something similar… also, reports of Tamiflu being linked to young children experiencing “psychological side effects” have a number of parents concerned this flu season. 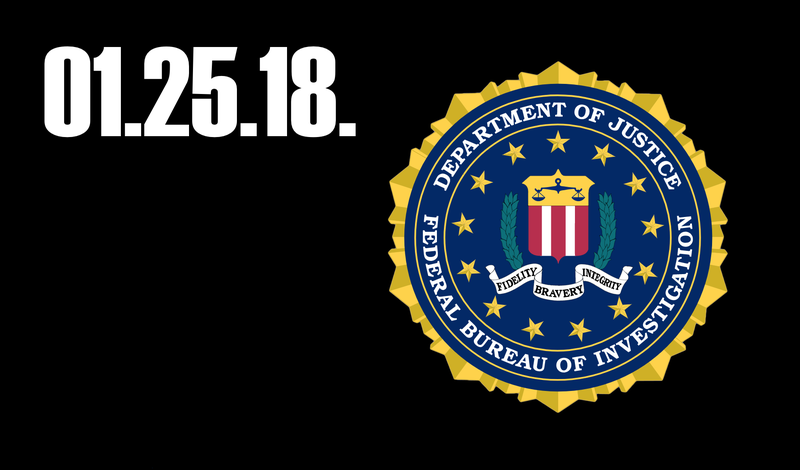 Getting to the heart of the conversation, news this week suggests that an FBI ‘Secret Society’ met the day after the election… this, according to thousands of new Strzok-Page text messages, which reference a “SECRET SOCIETY” within the DOJ and FBI, which purportedly is working against President Donald Trump. Finally, we provide an update on slavery in Libya: Videos have surfaced on social media of Sudanese migrants being tortured by Libyan slavers, in a bid to extort money from families. And to end on a more positive note, Bernie Sanders has reportedly summoned advisers to discuss a potential 2020 run… early, yes; but high hopes continue to linger. This entry was posted in Podcasts and tagged 9/11, Donald Trump, FBI, Kentucky shooting, Secret Society, Trey Gowdy by Micah Hanks. Bookmark the permalink. For a woman to have a child it is nessacery for her body to undertake certain (deformities, I’m being fair). Our culture makes men feel like scum if they are put off by the changes that occur in the female body. In film school the majority of my professors came from a media back ground. One of my teachers had a friend who was a doctor ground zero Iraq, we were told by him that the wounded/disfigured soldiers had a 90% + divorce rate due to….. deformities. For a baby to be born in a country like the USA with freedoms and liberties, men have to go to war, and many must suffer deformities, yet their sacrifice is over shadowed by the imbalance of female vanity? Yet have any of you heard of how abominable this is? Men are the bad guy, so you can go ahead and make the logical assumption that the pendulum is going to swing back, and they will be the good guy again. So either you can go off this model/reality, and try and figure out how to wane this cycle systematically, simple each time imbalance comes the perceived good guy should be sticking up for the perceived bad building trust and posterity. Or keep pretending equality so that when it does tilt back the other way which it always does…The Purge Witch Hunt 2 electric Booaloo. so right now we are seeing a imbalance tipping towards the favor of women, pretending to be a balance to generate equality, when in fact it’s just taking away from one group and giving it to another. This is the system we as westerners have developed, you have to have a good guy, and a bad guy, no bad guy, no action. So we have created a system of imbalances that appears as if it is liberating all, when in fact its taking away from others and manufacturing, laws, fallacies, and narratives for why certain groups are being left out. There has never been equality, there never will be, it’s up to those born of privilege to help those not…The reason we don’t see this is our BS ideology and when I say Ideology I mean root word idiot. I was around 5 and my aunt and uncle took me to church with there kids as they had a Sunday school program. We played musical chairs for prizes of which I won 2 fair and square. Then was made to give one toy away. First off why would they take a kid game like M.C. that already makes people feel bad, and then up the antic into a fight flight contest for toys??? I read a book where people would throw coins to Mexican kids at the border to see them kill each other over them? Essentially they taught me that having enough is a sham, and Jesus and his minions will get you if you ever tell anyone you saw this truth, that games are supposed to be fixed in one way or another, that you don’t win by being the best, in fact your supposed to let other people win too, and that even if you do their are judges above who have executive powers to take that win away by penalty. This is a heavy lesson for 5 yr olds don’t you think? This was the beginning of me saying F U to the games of humanity, and the start of the great new American tradition, of doing CAT/SAT tests by filling in random bubbles.